For most people, a 10-20 mile hike through the woods would be a daunting task. But for this father and son duo, the chance to cover the 2200 mile Appalachian Trail and raise awareness for veteran suicide prevention and to help build a military retreat is definitely a challenge that they look forward to. 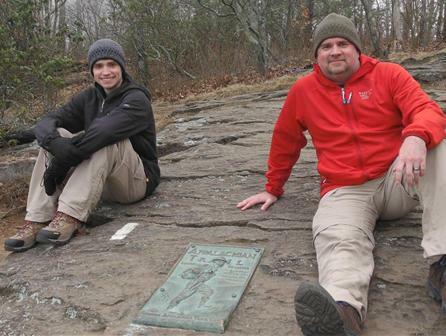 Years ago, this father and son team agreed that one day after the son graduated high school they would thru-hike the AT. Well, that promise turned to planning which they decided to turn their adventure into a fundraiser called Hike for Heroes. They have teamed up with Active Heroes, a Kentucky based veterans’ charity, to help raise funds to build a retreat for veterans and their families to get the counseling needed to battle the stresses of PTSD and hopefully end the trend of 22 veteran suicides a day. It is their goal to raise $100,000 and you can help by donating just a penny a mile. That comes out to only $22! Will you be one of the 5000 people to help?